Although some members of the Taliban may be weary of fighting and ready to lay down their weapons, they will only rejoin society if they believe their safety and the safety of their families are guaranteed, and if they have an opportunity to earn enough money to provide for their families. This comes after over 2,372 American troops have died in the war in Afghanistan, with more than 20,000 wounded, and at a cost to the American taxpayer of $1.07 trillion, according to one recent study. 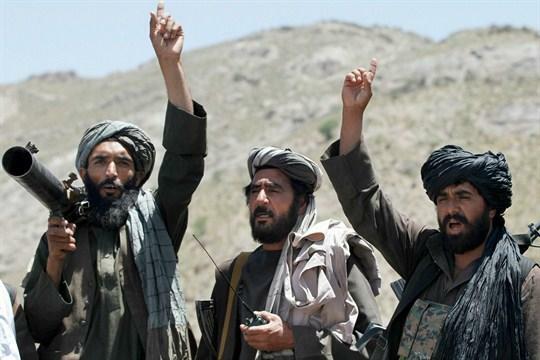 Since the summer the US State Department has been engaged in direct and indirect talks with Taliban officials. Last month the U.S. special envoy to Afghanistan indicated he hopes to strike a final peace deal with the Taliban by April of 2019, according to Reuters citing local media reports. Khalilzad told reporters at the time that he hopes “a peace deal is reached before April 20 next year,” when Afghanistan is planning to hold a presidential election. While six months is ambitious and a tad optimistic, it appears more about creating the conditions for the now ongoing face-saving American exit from the approaching two decade long quagmire. President Trump recently announced a draw down of 7,000 US troops leading to an eventual full pullout. For its part, reports suggest the Taliban could agree to a residual U.S. military presence in an advisory capacity as a bulwark against the Islamic State and other terror groups, which could actually involve training and advising former Taliban jihadists(!). But regarding Trump's latest shock announcement of a massive draw down of forces, chairman of the Joint Cheifs Gen. Joseph Dunford dismissed any current "orders" of withdrawal as "rumors". “There’s all kinds of rumors swirling around,” Dunford told U.S. forces, according to Stars and Stripes. “The mission you have today is the same as the mission you had yesterday.” Pentagon officials have elsewhere repeated they've received “no orders” to withdraw American forces from Afghanistan yet. However, with the latest Pentagon proposal for what we could essentially call taxpayer sponsored "jihadi rehab," US trainers in Afghanistan could find themselves in an interesting situation indeed... perhaps even a full-circle return to when the CIA funded and trained Afghan mujahideen and Talib insurgents during the Afghan-Soviet war of the 1980's in the first place.